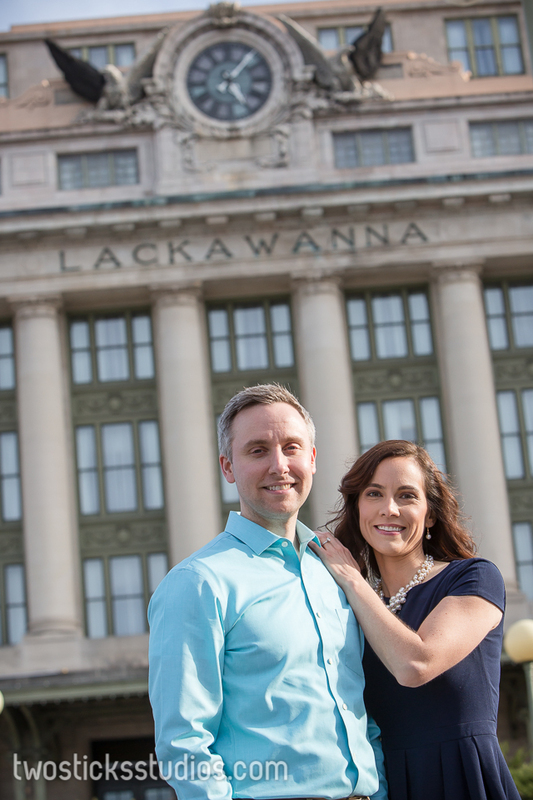 Last week we wrote about our two-minute challenge that we did with Megan and Michael, a great couple who spent some time with us strolling around downtown getting some engagement photos. We had an amazing time. But we wanted to show some of the other stuff we got when we actually spent a little time on the shots and weren’t rushing around like lunatics, taking photos through dumpsters and other goofiness. The shot inside the Trax at the Radisson is a good example. It’s just one shot but we probably took close to 20 minutes on that one, adjusting candles, adjusting positioning, working on the light to get it just right. But I love the photo and I think it was totally worth it. I don’t think Megan or Michael minded either since it gave them time to drink their drinks. Thanks again to Megan and Michael for their patience!